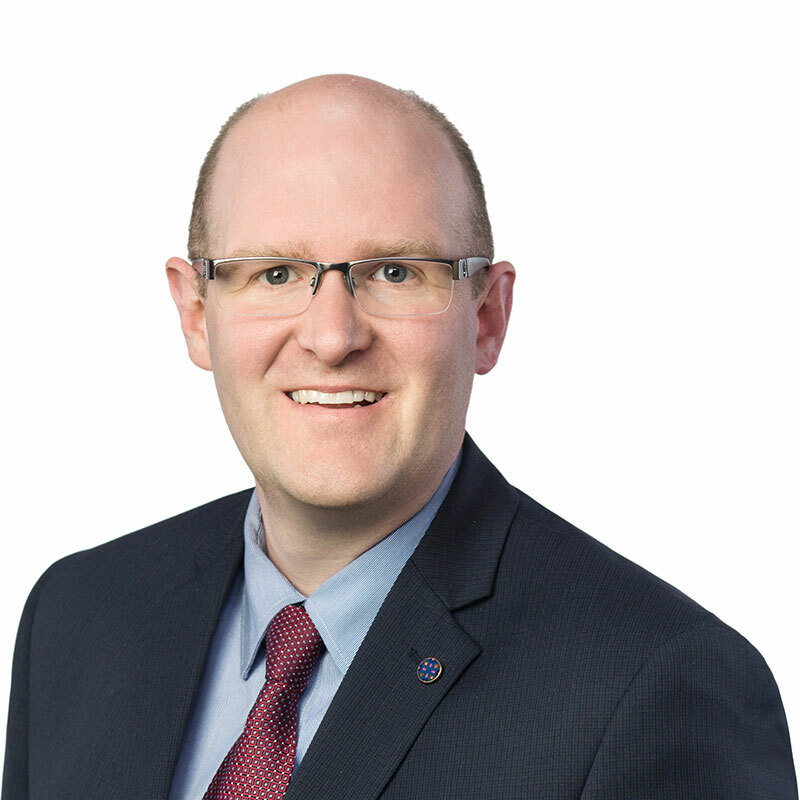 Jeff Coles is a registered Canadian and United States patent agent practising in Gowling WLG's Calgary office. He is a lawyer who holds an advanced degree in medical sciences. He has been assisting clients with securing patent protection for their innovations for over a decade. Jeff specializes in intellectual property matters involving innovation-intensive industries such as life sciences (pharmaceuticals, diagnostics, medical devices and biotechnology generally), agrotechnology, cleantech, oil and gas, environmental technologies and energy. His practice involves patent drafting and prosecution, including providing business-focused strategic advice on intellectual property (IP) portfolio and risk management, including in the context of commercialization and IP transactions. He has assisted companies in a variety of industries by coordinating intellectual property, regulatory and commercial strategies. With client activities spanning the globe, Jeff has acted on behalf of a comprehensive range of clients, including entrepreneurs, start-ups, early-stage ventures, universities, government organizations, SMEs and multinational corporations. Prior to joining Gowling WLG, Jeff worked at a Canadian law firm that focused exclusively on IP and tech law. As well, Jeff obtained significant research experience through his post-graduate studies at the University of Alberta and his work at the Chemical Biological Defence Section of the Canadian Department of National Defence. His research has been published in the Journal of Biochemistry, Viral Immunology and Neoplasia. Jeff has been recognized in LMG Rising Stars as a 'Rising Star' in Life Sciences since 2015. "IP 201 - Managing and leveraging your intellectual property," Invest Atlantic conference, St. John's, NL, Sep.19, 2017. "Protecting innovation on the global stage," (Co-authors: Gabriel Kleiman of Pfizer Inc. and Kendra Cann of Smart & Biggar), AIPLA Spring Meeting, San Diego, US, May 2017. "Managing & leveraging intellectual property: Reasons to pursue patent protection in Canada," Lexology, May 27, 2016; Mondaq, May 31, 2016. "Patent law update," (Co-author: David E. Schwartz), Managing Intellectual Property, September 2012. "Canadian patent litigation as part of a global enforcement regime," (Co-author: Jacqueline DeGagne of Bayer Inc.), AIPLA Spring Meeting, New York, US, May 2010. "Nuclear factor I regulates brain fatty acid-binding protein and glial fibrillary acidic protein gene expression in malignant glioma cell lines" (Co-authors: M. Brun, E.A. Monckton, D.D. Glubrecht, D. Bisgrove, and R. Godbout), J. Mol. Biol., 2009; 391(2): 282-300. "B-FABP-expressing radial glial cells: the malignant glioma cell of origin?" (Co-authors: R. Mita, D.D. Glubrecht, R. Sung, X. Sun and R. Godbout), Neoplasia, 2007; 9(9): 734-744. "Functional enhancement of a partially active single-chain variable fragment antibody to Venezuelan equine encephalitis virus," (Co-authors: Alvi AZ, Hu WG, Fulton RE, Long MC, Nagata LP), Viral Immunol., 2003;16(2): 213-22. "Development and characterization of a novel fusion protein composed of a human IgG1 heavy chain constant region and a single-chain fragment variable antibody against Venezuelan equine encephalitis virus," (Co-authors: Hu WG, Alvi AZ, Chau D, Fulton RE, Suresh MR, Nagata LP. ), J. Biochem., 2003; 133(1): 59-66.